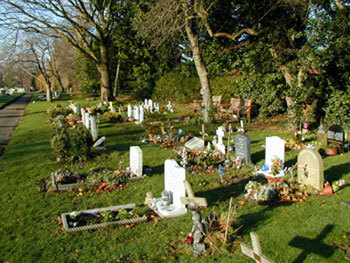 If you would like to have a family grave you might consider a plot in one of our traditional or lawn sections. A child&apos;s grave is a smaller version of an adult&apos;s traditional grave. On the children&apos;s section, you can have a memorial. There are different types of memorials available. You can have either a headstone, a headstone with kerbs or you may plant the grave space.